The most productive Enterprise tool that doesn’t feel like an Enterprise tool. Reduce endless email chains and pointless meetings with a collaboration tool that’s simple to use and accessible from any device, anywhere. Easily manage users in real-time and control content management permissions with just a few clicks. With 99.99% uptime YoY you can rest assured we’ll never leave you hanging. Built-in task automation and over 100+ native integrations to top work tools makes Trello flexible enough for any team to use. Unlimited access to boards, Power-Ups, native task automation via Butler, collections, cards, and more! Trello is SOX and SOC 2 Type 1 compliant. All traffic runs over HTTPS (SSL/TLS), the internet’s most common and trusted communications protocol. Data is backed up hourly and stored at an off-site location. All user data is encrypted at rest and in transit, and intrusion detection measures are in place 24/7. Your team can sign on with a single click (and avoid security headaches) thanks to available Single Sign-On for all SAML IdPs. Automatically enforce SSO upon setup and we’ll take care of the rest. Set access restrictions at both the team and board levels across your entire organization. 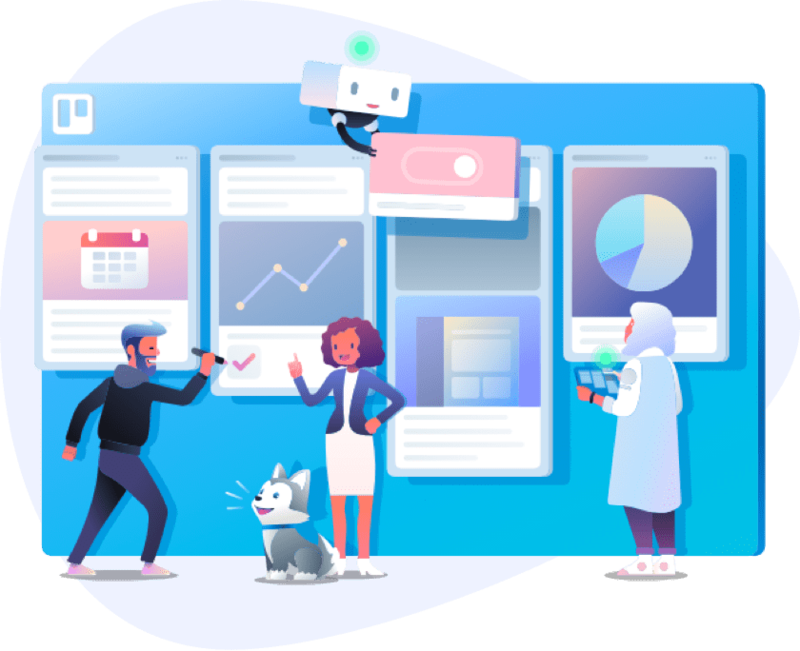 Specify who can create public, team-visible, and private boards—as well as who can be added to each—and ensure that your teams can collaborate easily, while still keeping sensitive work private. Get extra control without losing flexibility. Restrict who can be added to your Trello teams by email domain or individual address. Use the Observer status to grant contractors, vendors, and others secure, “read-only” access to specific boards. Export the entirety of your team’s data in one click, making it easy to examine, analyze, and store. Enterprise Admins can control what third-party apps can be integrated with Trello. Get visibility instantly on what Power-Ups are currently in use and set permissions from one central location that cascade down to all teams. Have a question or concern? 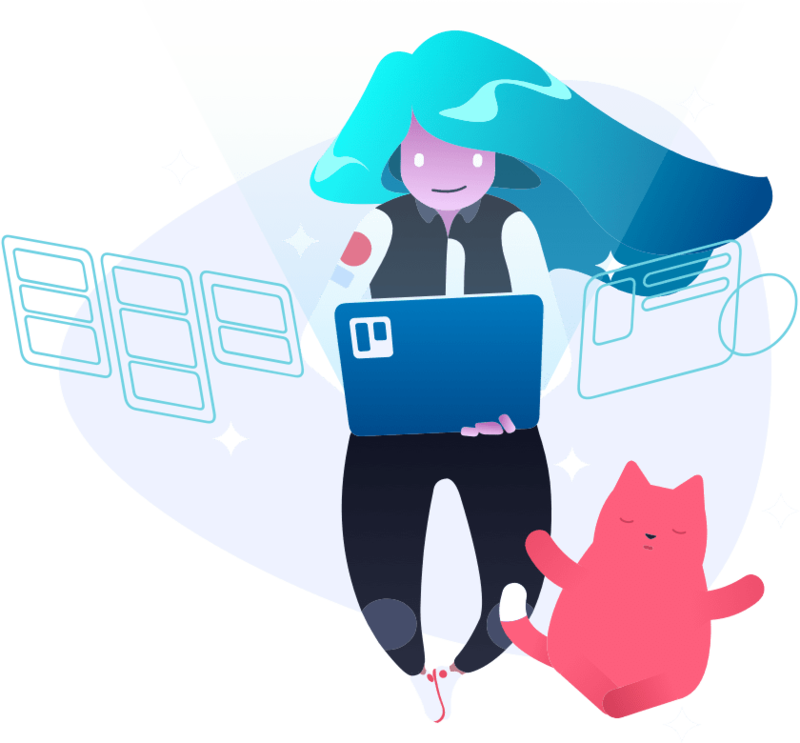 Jump to the front of the line and chat with our Trello experts via phone or email. Enjoy a new level of visibility between ‘Team’ and ‘Public’ called Organization. Anyone within your Enterprise can share with the whole organization without the need to belong to the same team. Ready to get started? Give us a shout. For technical support, please contact support@trello.com. An error occurred while processing this request. Please try again. Thanks! Someone will reach out to you shortly.